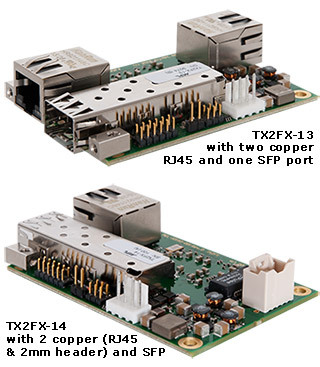 These features make the TX2FX ideally suited for any industrial application. Through the low power consumption, robust, and flexible design, the product can be used in any embedded system. Whether it is being used in a rugged, hot, or other extreme environment, the TX2FX helps to expand your network distances!